I am not sure what I expected from purchasing such an expensive pillow but the main difference was the quality of construction. 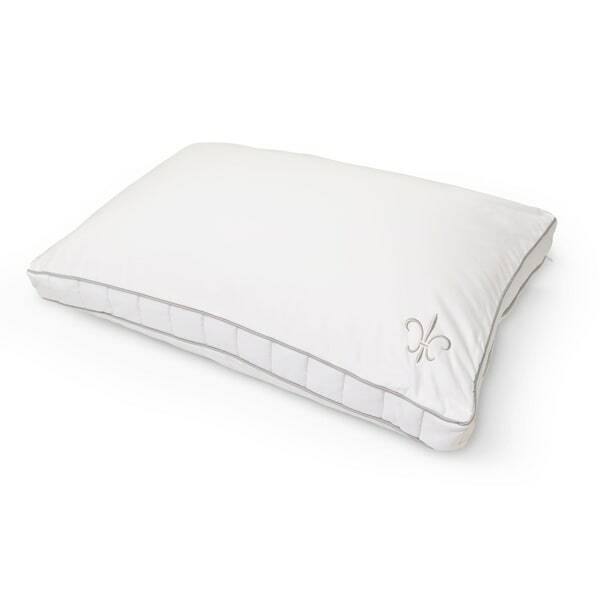 The outside protective cover is nice and will help the pillow last longer. I am a side sleeper and it worked well for me the first night. Feels like a pillow from a nice hotel. It did take over a week to arrive and did not follow the expected delivery date. Customer care blamed it on UPS when it had not left the sellers facility yet. The truth would have been nice as I understand things take a while to ship. I’m new to Overstock so not including my negative experience with customer care as part of my evaluation for star rating. Hypoallergenic 100% Fiber Fill 28 oz. Dimensions 34.0 In. X 18.0 In. X 3.0 In. Great purchase! Firm and allow for a great nights sleep. A little higher quality that I expected and finish has a great feel. Made for side sleepers - hadn't noticed that in description but getting some good nights sleep! I am a side and back sleeper and this pillow is very fluffy and firm. Great support! I ordered 4, but only 1 was delivered. Texted customer service and they were great! Sending out the other 3. Shipping is taking awhile. Bit I’m excited to receive! This is exactly what I look for in a pillow. It’s made very well the material is cool and the loft is perfect, when you lay down on it it doesn’t sink down to the bed.